Philosophical attention to problems about global justice is flourishing in a way it has not in any time in memory. 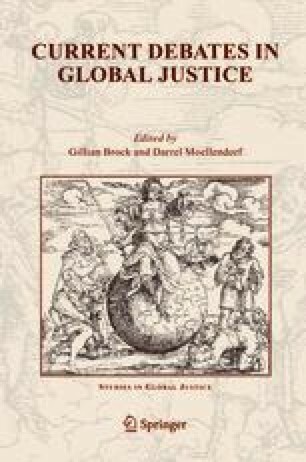 This paper considers some reasons for the rise of interest in the subject and reflects on some dilemmas about the meaning of the idea of the cosmopolitan in reasoning about social institutions, concentrating on the two principal dimensions of global justice, the economic and the political. Opening address of the Mini-Conference on Global Justice, American Philosophical Association Pacific Division, 2004 Annual Meeting, Pasadena, California, March 27, 2004. I am grateful for comments to Darrel Moellendorf and to my copanelists Michael Blake, Kristen Hessler, Jon Mandle, Mathias Risse and Leif Wenar.